Our Lady of the Assumption, Maragondon, Cavite. In 1598, the Franciscans were forced to leave Silang and the accompanying visitas of Indang and Maragondon. In 1599, the Cathedral Chapter of Manila transferred its jurisdiction to the Jesuits, who took over in 1611. Fr. Angel Armano SJ started building the church and worked for it to become a parish. 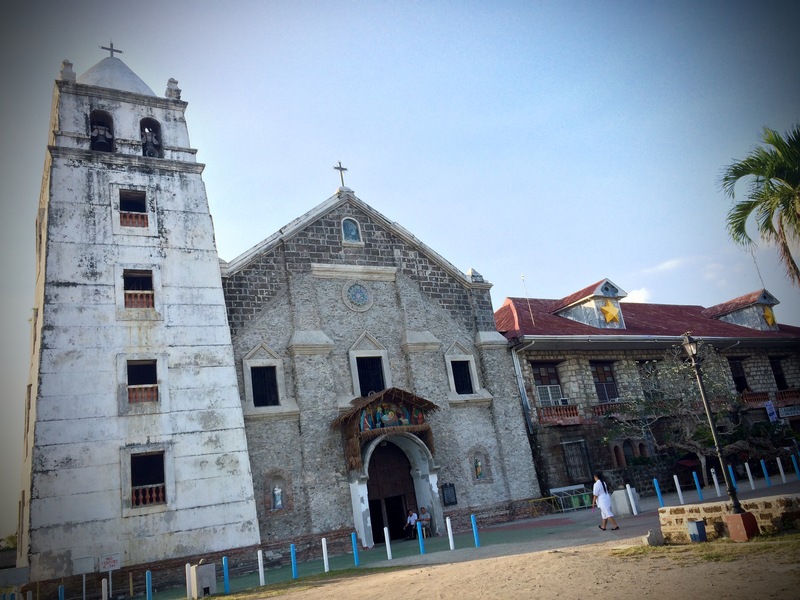 It became a parish in 1627, with its patroness, Nuestra Señora dela Asuncion. 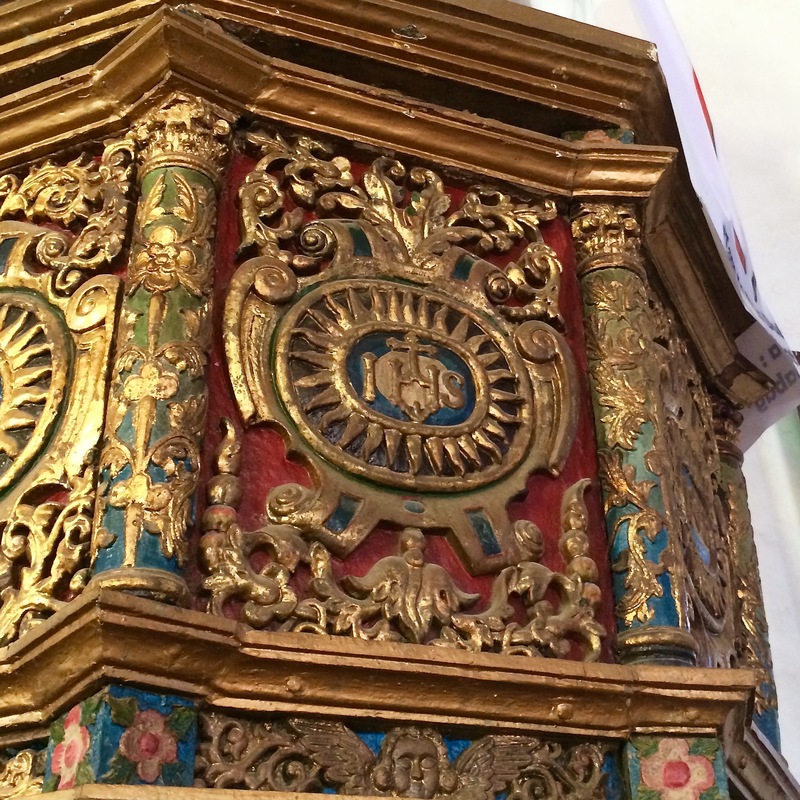 In 1650, the Jesuits were given permission to build a church with wood. They also built a convent in 1666-72. They began to convert the wooden church into stone in 1687, and completed it by 1714. Some old women said that they heard from their ancestors tales of the church being built by some miracle: they would help at day, but the next morning, the church grew by height, as if some people continued working where they left off during the night. 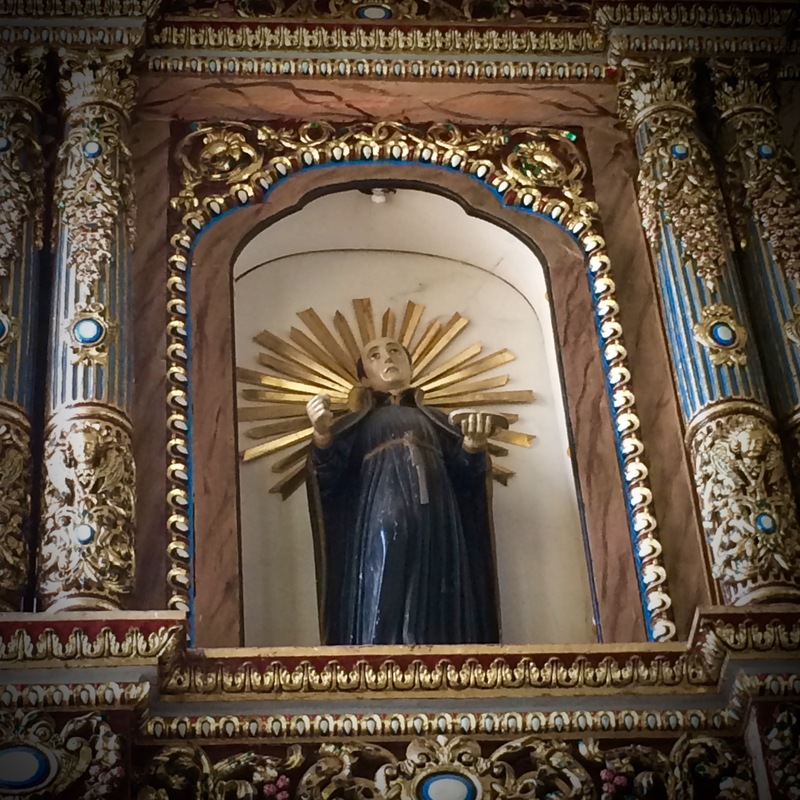 This is a close-up of the retablo at the center of the altar. 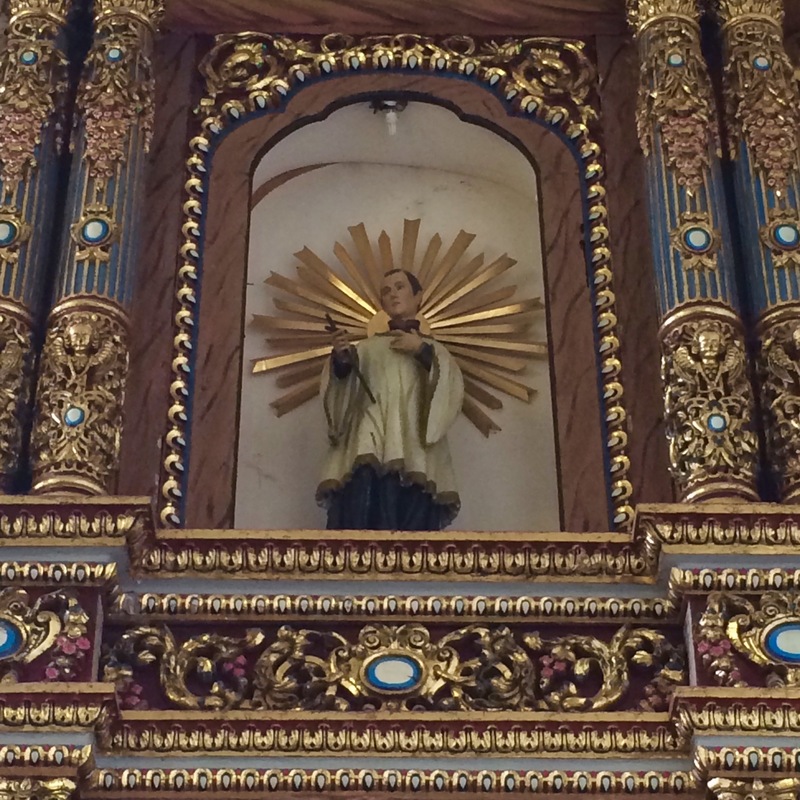 In the niches of the retablo are Jesuit saints, notably: St. Ignatius of Loyola and St. Aloysius Gonzaga. Details of the Church of the Assumption. At the retablo facing the altar and people, are St. Ignatius of Loyola and St. Aloysius Gonzaga. Inside this church is a crucifix enclosed in metal bars. 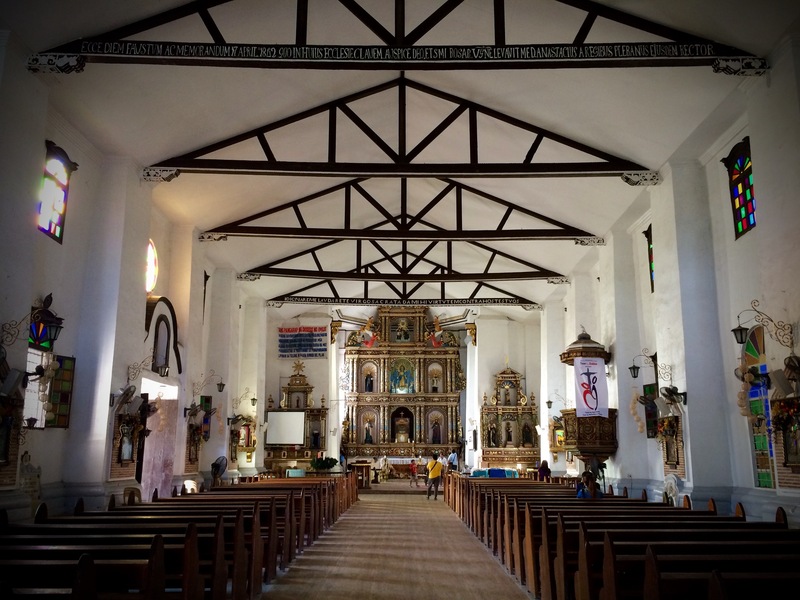 It is claimed that this is the oldest crucifix in the Philippines. 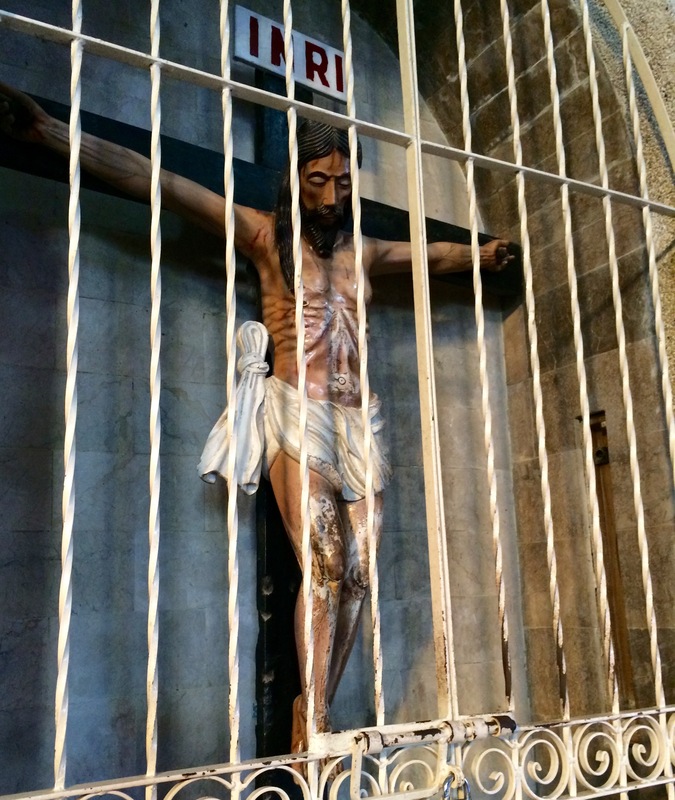 It is said that this crucifix was lost in the outbreak of World War II when the it was brought for repair. 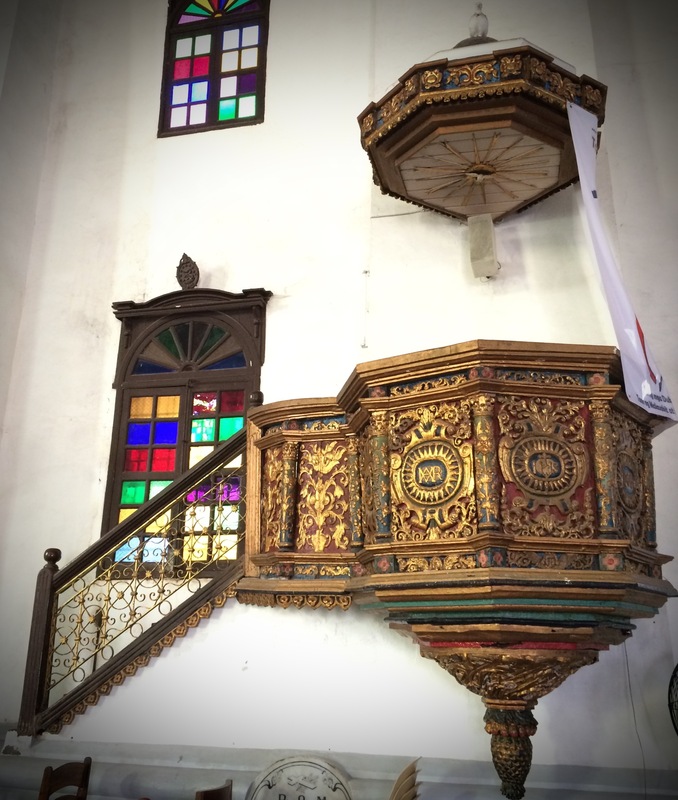 It was found in Quiapo by a parishioner in 1960, and thus it was returned to Maragondon. 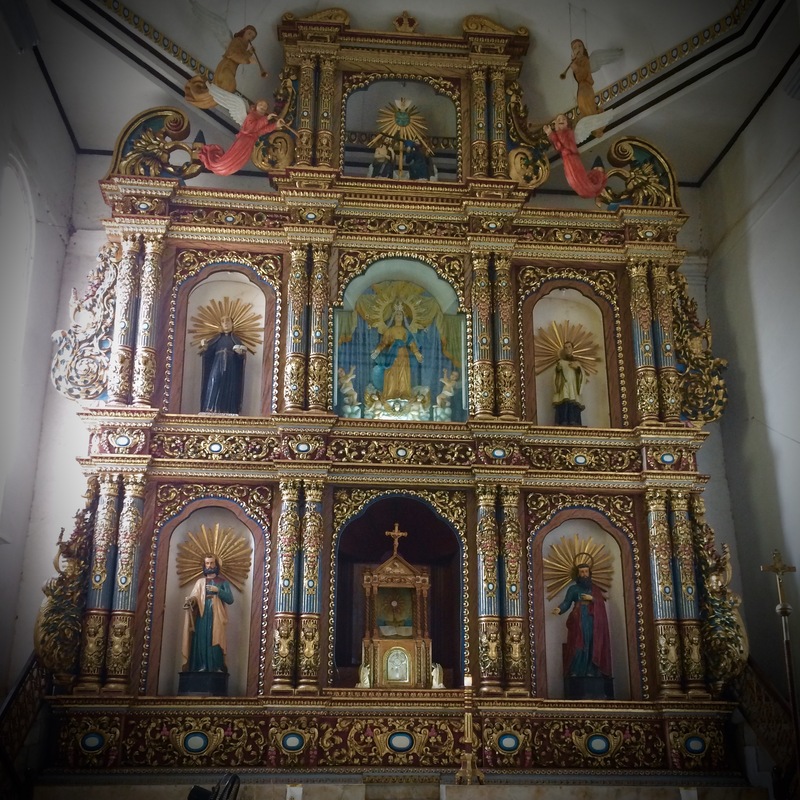 4 Nuestra Señora dela Asuncion, Maragondon, Cavite (this article).